Austin police said a suspect in a string of Austin bombings has died. Here's what we know about his victims. AUSTIN -- The suspect in a series of Austin explosions has died after he detonated an explosive device that killed him. For three weeks, police have been investigating the explosions -- two of which killed two different people. Police received a call March 2 at 6:55 a.m regarding an explosion at a home in the 1100 block of Haverford Drive near East Howard Lane and Harris Ridge Boulevard. The victim was identified as Anthony Stephan House, 39. He had life-threatening injuries when he was taken to a hospital and died just after 7:45 a.m. He was the only victim in this explosion. "He seemed like a good guy. He took our kids to his daughter's birthday party. Brought my son back when he wasn't feeling good. Seemed like a decent enough guy," neighbor Sean Philips said. Police responded to an explosion reported on March 12 at 6:45 a.m at a single-family home in Central East Austin in the 4800 block of Oldfort Hill Drive, near 51st Street and Martin Luther King Jr. Boulevard. In a press conference on March 13, police identified the 17-year-old victim to be Draylen Mason. He died from injuries sustained in the blast. His mother was also injured and taken to Dell Seton Medical Center, and is expected to be okay. According to J.B. Bird, the Director of Media Relations at the University of Texas, Mason had been accepted into the Butler School of Music in UT Austin’s College of Fine Arts in Music Performance. He said, "This was an accomplishment to be proud of -- admission to the school is highly competitive. We are deeply sorry for his family’s loss." Mason was a student at East Austin College Prep, and played string bass for the Austin Soundwaves through the Hispanic Alliance and for the Austin Youth Orchestra. "He is very talented, and very funny," said Adeila Owens, Mason's friend. "Anytime I would have a bad day and go to rehearsal, he was always there to make me smile." Owens said both she and Mason planned to go to UT together through the Butler School of Music. "I was just in shock, you don't think something like that is going to happen to somebody who's like you -- to someone who's just really sweet and doesn't deserve anything like that," she said. KVUE spoke to several people who knew Mason well. 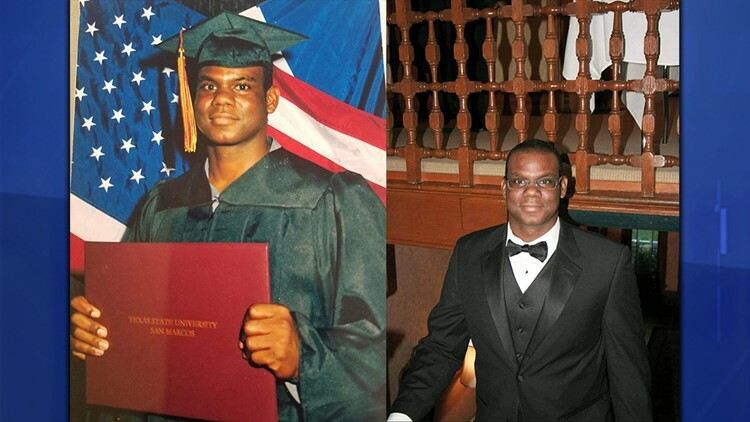 Moses Williams taught Mason martial arts for more than 10 years. "Charismatic kid, full of energy, and bubbly, and ready to learn," said Williams. "Smart, intelligent, I mean he can carry on a conversation." Williams said the news of Draylen's death was a shock. "Right now, you can tell I'm still full with emotions, he was one of the kids that I could call my own," said Williams. "His life was cut too short, so you know I'm really distraught and when I talk about it, it's kind of hard for me to fester what happened to him." Charles Phillips shares Williams' sentiment. "It was just really hard, it was, it was, I'm still kind of numb and in shock," said Phillips. Phillips is the coordinator of Soul Tree Collective, and started teaching Mason at 12 years old. "Always smiling, always working hard, very well mannered, very well spoken," said Phillips. "Very energetic, very giving, big personality, big smile, he was the type of person that you would want to be around." Now, Phillips played in bands with Draylen. "He was insanely talented," said Phillips. "At 17, he was a fixture in this arts community, he's played in half the venues in this city," said Patrick Slevin, director of Austin Soundwaves. Austin Soundwaves is a program through the Hispanic Alliance, and Slevin said Mason was a leader there, too. "It's so amazing getting calls from around the country of musicians artists and just people who were touched by him," said Slevin. Slevin said Mason traveled the country with them playing music at festivals and orchestra performances. 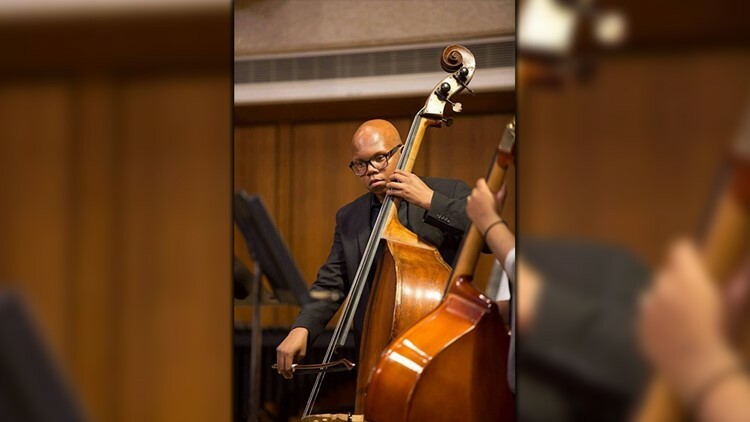 "From day one, he was clearly a gifted bass player and musician, but he's been a leader in the program for the past six years," said Slevin. For the past two days, Slevin said the group has been gathering to grieve. "Everyone has stories about him, a lot of humor, a lot of light," said Slevin. "So many students have shared stories about him being the one they would go to with problems, he's the one they would sit and kind of dream about the future with, -- and he was that friend, when other kids were having a hard time that of course I'm going to go talk with Draylen, he's got all this wisdom, he's wise beyond his years." "He was the kind of kid that he lit the room up everywhere he went," said Phillips. "He's just one of those kids whose life was took to quick," said Williams. On March 19, Texas Governor Greg Abbot said Mason was the grandson of a docent at the governor's mansion. Police said the latest package explosion was reported in the 6700 block of Galindo Street, near East Riverside Drive and Montopolis Drive, just before noon on March 12. Family have identified the victim as Esperanza "Hope" Herrera, 75. Police said she is in critical condition with life threatening injuries. A woman in her 80s was evaluated by police at the scene, but was not taken to a hospital. A fourth explosion occurred on March 18, which appeared to be activated by a tripwire on Dawn Song Drive in southwest Austin. Two men, 22-year-old Will Grote and 23-year-old Colton Mathis, were transported to the hospital with serious injuries. Hospital representatives confirmed that both are going to be OK.
"One of them had an injury on their lower leg and blood was streaming down, kind of from knees down on both legs. And the other boy, maybe a little more in shock, wasn't saying that much," Jeff said. "They at least knew where they were and what was happening."